Venturing once again into the family archives, I’m following up my previous picture with a more regal one. 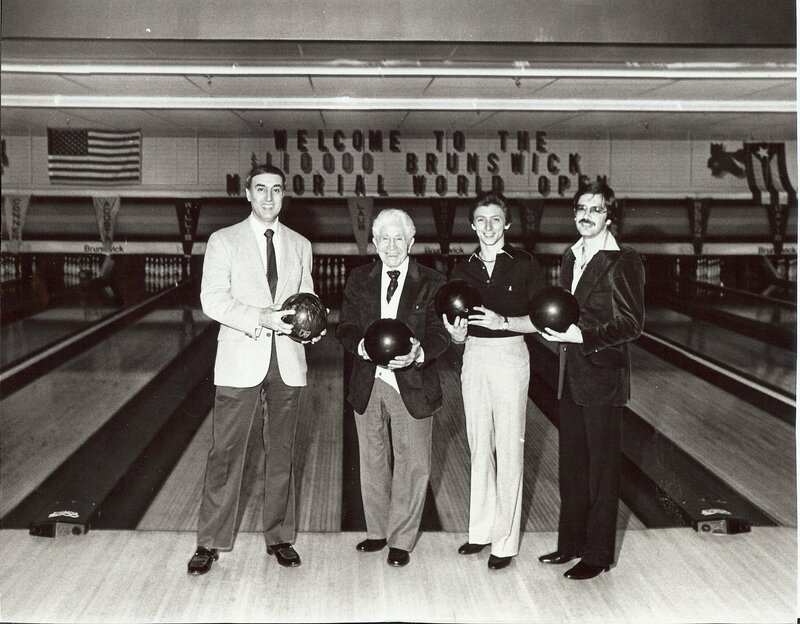 Here’s a great photo of four of bowling’s Italian-American Hall of Famers…Carmen Salvino, Andy Varipapa, Joe Berardi, and Johnny Petraglia. Photo taken at the 1981 Brunswick World Open in Chicago, where Andy was honored on his 90th birthday.